What does a successful bokashi bin look like? 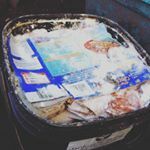 The fermented food scraps in a successful bin will look very similar to those that you put into the kitchen composter. Even after the two weeks of fermentation in the bokashi bucket, your food scraps will still resemble food waste. The pre-compost will not look like traditional dark brown soil-like compost. 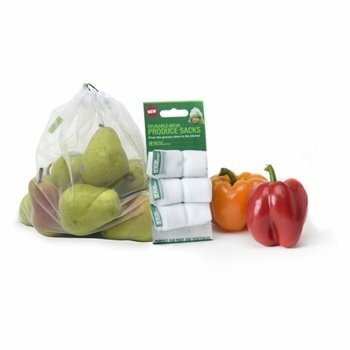 But don’t worry, even though your fermented food scraps look very similar to the items you put into the bin the physical and chemical properties of your food waste has been altered meaning that it will be quickly broken down into your soil or compost pile when buried. So, if the food scraps look very similar to when you put them into the bin, how do you know if your bokashi fermentation has been successful? Your bokashi pre-compost should have a sweet and sour pickle-like odor; a cross between pickled vegetables and home-brew beer. The smell should not be unpleasant or overpowering. This is the most common sign that your bokashi fermentation has been successful. If your bokashi kitchen composter smells putrid and rotten, then something has gone wrong. Find out what may have happened and tips for preventing this happening again in our troubleshooting post. 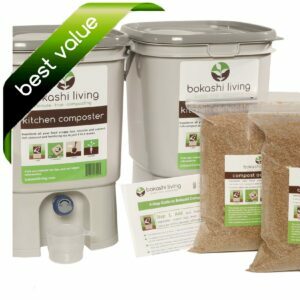 Probably one of the first signs you’ll see of a successful bokashi bin is bokashi compost tea from your kitchen composter. 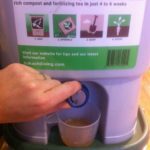 You will typically start to see some tea within the first week of putting in your food scraps. BUT the amount of compost tea and the time it takes to be produced, will vary depending on the amount and type of food scraps that you add to the bin. If you don’t see any bokashi tea, you may still have a successful bin. White mold and fungus on the top of your food scraps is a sign that the bokashi microbes are thriving and multiplying in your bin. Blue/black or green mold are a sure sign of a failed batch of pre-compost. White mold is not always visible, even after the two week fermentation period. However, as long as you are not seeing blue/green mold in your bin, then you can be comfortable that the anaerobic bokashi microbes are thriving. If you don’t see any white mold and you want to be confident that the bokashi fermentation has been successful then leave your sealed bin for a further week or two by which time more white mold should be visible. My tea has a white mold in it. The bottom of the bucket has sheets of the stuff. Is this okay? Bin smells sweet and I don’t see any mold on the food scraps themselves. Good? Thanks for the question. White mold in the tea is perfectly fine. As long as the mold is white, then everything is fine. The appearance of white mold is a result of breeding filamentous bacteria in bokashi. The same as you may see in your bokashi bucket. And if you are getting the characteristic sweet bokashi smell, then you know everything is working as it should be.